Whenever our clients return from staying at one of our partner B&Bs in France, we always ask them for their honest feedback. After all, we have a vested interest in ensuring that the accommodation that we propose meets our high standards. 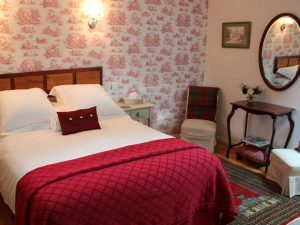 So what qualities make for an excellent B&B stay? We think we have a good idea. First impressions count. When you arrive at a bed and breakfast you want to be made to feel welcome. A good B&B host truly enjoys having people to stay in their home and it shows. They are sociable and friendly and conversation flows freely and easily. It’s the ‘home away from home’ experience that people remember above anything else after they have stayed with a good B&B host. You may have driven a long way to arrive at your B&B, possibly in hot summer temperatures and are in dire need of some refreshment when you get there. The best B&B owners’ welcome extends to offering you a welcome drink on your arrival. A chilled beer, a glass of wine, a soft drink or maybe a good old cup of English tea. Now, it’s time to relax and unwind. B&B guests appreciate the unobtrusive host. 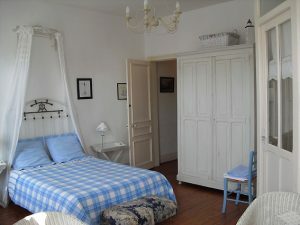 The good B&B host understands that guests need their own space in which they can switch off from their hectic lives. This is their holiday after all. They appreciate some garden space in the summer and a dedicated B&B guests’ living area inside for cooler days. The good B&B host is perceptive and thoughtful. They don’t wait to be asked if they have a bib for the baby or if there’s some fridge space for those bottles. Anticipating guests’ needs comes with experience. It’s an invaluable skill and one that is very much appreciated by B&B guests. If you are travelling with your dog, you’ll appreciate the B&B owner that has considered your pooch too. There’s a bowl of water ready and yes, the garden is enclosed so that your dog can’t wander off. Here’s a towel with which to dry off your dog after that wet walk. Such thought and consideration will be remembered. 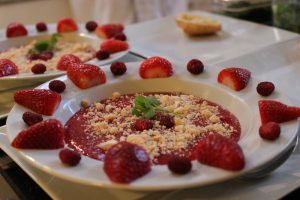 Our clients simply love our B&B hosts that provide a breakfast that goes beyond the basic continental. 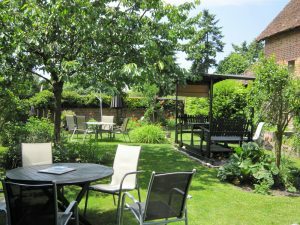 In particular they enthuse about our partner B&Bs that offer homemade French toast drizzled with maple syrup, home made pastries and also fresh fruit from the garden at breakfast time. The B&Bs that provide evening meals are always popular. After all, it can be a bind to have to get back in the car to go out to eat. Those B&Bs that use local and home-grown produce in their cuisine are always appreciated. It’s a great way to give visitors a flavour of the area and to showcase regional specialities too. Where they don’t offer evening meals, a thoughtful B&B host may offer a taxi service to their favourite little local restaurant. They know that their guests would appreciate a glass or two of the local wine with their meal. It’s not too much trouble and after all, you’ll remember such gestures in the future, won’t you. The good B&B host changes the bedding in their guest rooms every few years before the mattress becomes uncomfortable. Yes, it’s yet another expense, but they know that ‘si on dort bien, on est bien’. A good night’s sleep is more important than anything, after all. The thoughtful B&B owner also understands the importance of good quality bed linen. They won’t scrimp on the cotton sheets, oh no. A choice of pillows may also be provided, soft and firm. After all, no two B&B guests are the same. You’ve come away on holiday but, darn it, you forgot to bring your travel adaptor and can’t charge any of your devices! Don’t worry, your thoughtful B&B host has provided one in your room already. 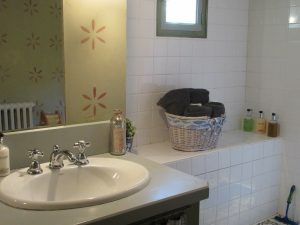 There are also some homemade cookies on the courtesy tray and complementary toiletries in the bathroom. One of the most appreciated gestures that a B&B host can make is the placement of a vase of freshly cut flowers in the guest rooms and public spaces in the B&B. Everybody loves the colour and scent of flowers from the garden indoors, don’t they. 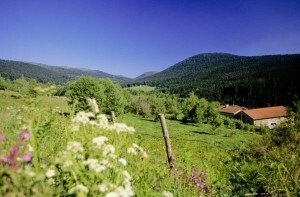 If you have chosen a B&B in France as a base for a longer stay, the local knowledge is invaluable. Good B&B hosts know where all the good restaurants are, which vineyards and wine cellars are open when and where to go for the best walks in the area. They make it their business to keep up to date with local tourist information. If you have a question they can’t answer they will know someone who can. 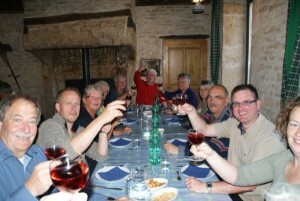 We like to think that Stopover Connections’ partner B&Bs in France go the extra mile where hospitality is concerned. The constant feedback that we receive from guests ensures that our high standards are maintained. We are proud of the quality of accommodation that our hosts’ provide. 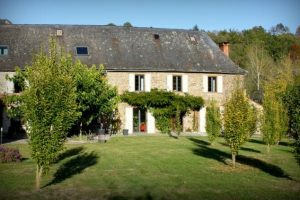 We are delighted that you in turn appreciate the quality of these places that truly do provide a home away from home during your travels in France.